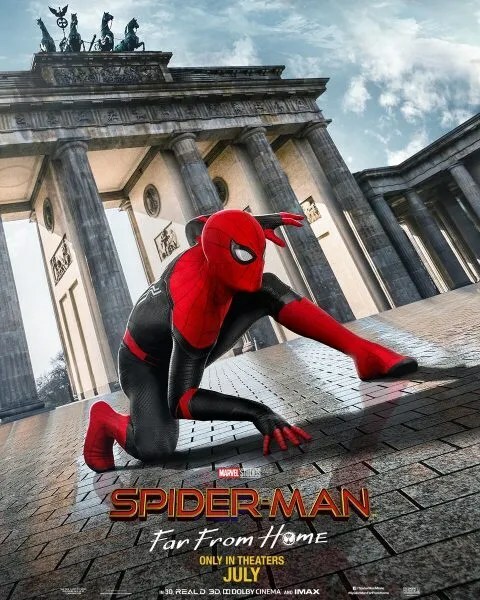 ‘Spider-Man: Far From Home’: New Posters Spidey on a Globe-Trotting Adventure!! Check It Out!! | Welcome to Moviz Ark! ‘Spider-Man: Far From Home’: New Posters Spidey on a Globe-Trotting Adventure!! Check It Out!! 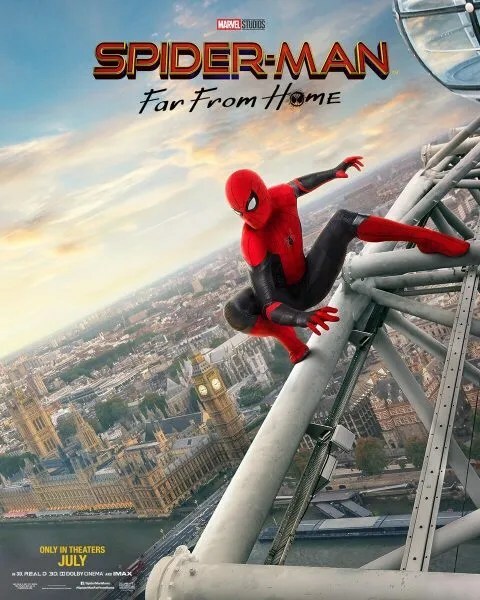 Sony’s Spider-Man: Far From Home, the upcoming sequel to Spider-Man: Homecoming, takes Peter Parker (Tom Holland) and friends out of New York City and off to Europe on a school trip. Though he leaves his super-suit behind for the chance to be “Just Peter Parker”, he’s soon recruited by S.H.I.E.L.D.’s own Nick Fury (Samuel L. Jackson) to battle some elemental monstrosities that pop up during their itinerary. 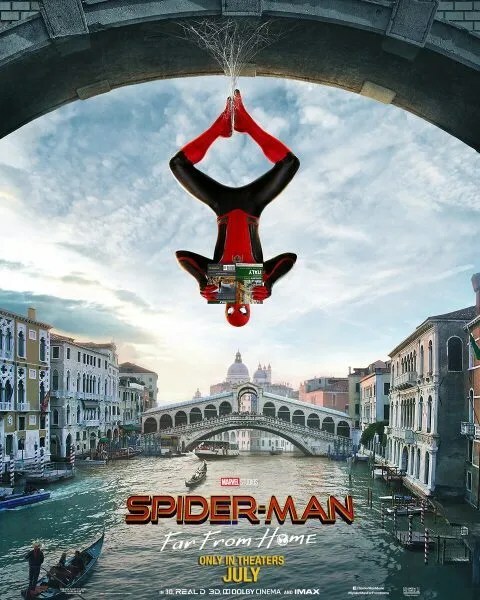 And while these new posters for the superhero sequel don’t factor in the many bad guys that will show up, they do highlight some of the many places your favorite friendly neighborhood Spider-Man will go. Also starring Zendaya, Jacob Batalon, Jon Favreau, Marisa Tomei, Cobie Smulders, Angourie Rice, Martin Starr, JB Smoove, and Jake Gyllenhaal, Spider-Man: Far From Home opens July 5th. ← ‘Chambers’: First Images Reveal Netflix’s Latest Horror Series!!! Check It Out! !